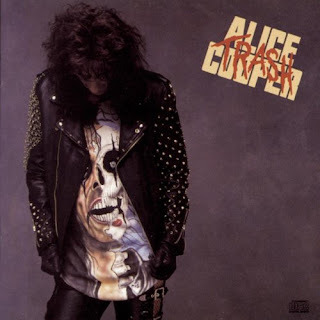 Above: The cover of Alice Cooper's 1989 "Trash" album. Any indie credibility I may still retain will be forever lost with this admission: In 1990, I bought, and very much enjoyed, Jon Bon Jovi's Blazy of Glory, the album of music released in conjunction with and "inspired" by the film Young Guns II. I was fourteen years old. Thus was born "Blaze of Glory" (a song still in the popular memory and which was recently performed by contestant Phil Stacey on "American Idol"). Mr. Bon Jovi would consistently deny that this was a solo album (although this was perhaps said only to preserve harmony in his band). During this period, Mr. Bon Jovi fielded many questions about his then-feud with his guitarist Richie Sambora (who earlier in the summer of 1990 had contributed a cover of Jimi Hendrix's "The Wind Cries Mary" to The Adventures of Ford Fairlaine soundtrack and was to release his own solo album, Stranger in this Town, the following year). (Lyrics courtesy of SickThingsUK). SickThingsUK quotes "Renfield" (actually Cooper's personal assistant Brian Nelson, according to the SickThingsUK webmaster) as saying that both Bon Jovi and Cooper recorded demos of "The Ballad of Alice Cooper." I asked after a song called The Ballad Of Alice Cooper which Jon Bon Jovi once told me he'd written for Alice around the time of Trash, but which didn't make it onto the album. "It didn't make this album either!" Alice answered, laughing heartily. "And every time I see Jon, he gives me one of these 'Hey, how's the song doin'?' looks and I go...(catches his breath). And it really is a good song! But you know the reason why I can't do it? 'Cause he's talking about me and I really can't do that! I told Jon, 'Jon, it's such a great song, you do it about me, but it's hard for me to sing The Ballad Of Alice Cooper about myself!' We laugh about it every time I talk to him - and for the rest of my life, every time I see him, he's going to ask me when I'm going to do that song!" One would think that in the era of bonus tracks and repackaged editions of old albums that the demos of this song would have resurfaced as a bonus sometime in the past few years. There is little reference to the tune on the Internet, save for the stray references one would expect on Alice Cooper and Jon Bon Jovi fansites. Someone has posted an mp3 of the song, presumably from the "Rockline" radio appearance, online, but it is of low audio quality. 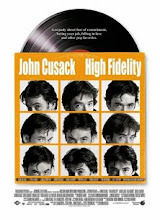 I would say that it is forgotten, but the song never really entered the public imagination, as it was apparently only played publicly the once on a nationally broadcast radio program seventeen years ago. 1. Paul Willistein, "Career Guns Are Blazing for Rocker, Jon Bon Jovi," The Morning Call (Allentown, PA), August 3, 1990.
i think he should put it on an album it would sel especailly to us alice fans.